On arrival you will be met & transferred to your hotel. Check in and time free till afternoon to unwind. 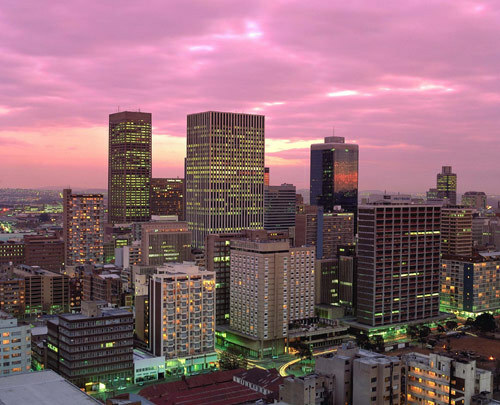 Post lunch, proceed for a half day orientation tour of Johannesburg city in Africa. Overnight at hotel. After breakfast check out of the hotel and proceed for tour of Gold Reef city, the re-constructed town of 19th century Johannesburg. See the underground workings of a gold mine. Watch molten gold being poured. Proceed further to the man made wonder - Sun City. Vibrant by day and magically beautiful at night, it is a complete leisure resort with magnificent hotels, dazzling shows, nightlife and a fabulous casino. The evening is free to enjoy this splendid city. Overnight at hotel. After breakfast free to explore the various happenings in this fun city with its live performances, clubs and theme parks. Overnight at hotel. After an early breakfast drive for an advantage trip to Kruger National Park In the park check into hotel. Evening relax and enjoy the serenity of the jungle with a delicious dinner at hotel. Morning to proceed for a jungle safari by 4 X 4 wheel drive. Drive past the dense jungle and site the Big. Return to hotel and enjoy lunch. Post lunch safari to explore the remaining of the jungle. Enjoy the sumptuous dinner the hotel. After breakfast check out and drive to Johannesburg. Spend entire day on the shopping collecting souvenirs, overnight at hotel. After breakfast depart for airport to board the flight back to India. Indica Travels & Tours understands your needs and tries to tailor-make your travel packages according to it.People seeking for some adventure must buy African safari tour packages from our travel agency and make their experience a special one. We give exclusive attention to our esteemed customers and try to resolve their issues, if any, in no time. you just have to sit back and relax as we do all the work.